Last week Medelita underwent a smooth transition to our new office and headquarters, located in Laguna Hills, CA. Our new location offers an array of benefits, from increased office and warehouse space, to a brand new boutique storefront to better serve our local and visiting customers. This most recent move is representative of the future of Medelita. 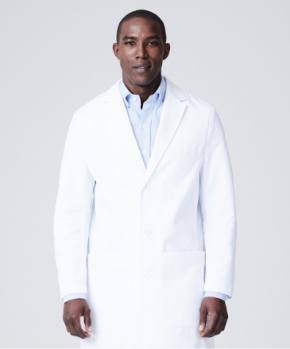 We have established ourselves as the preeminent brand for physician medical apparel, and at this point it is our responsibility to maintain a high level of quality at all levels of our business. 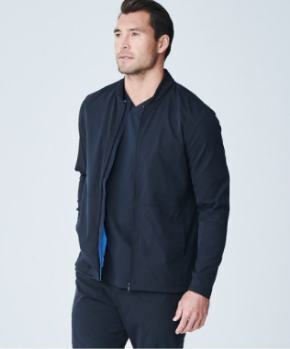 Medelita garments represent the pinnacle of medical apparel, and our new headquarters is an embodiment of that same level of quality - consistent with the caliber of the garments we provide our clientele. Most importantly for our customers, our new headquarters features the very first true Medelita storefront for local customers to shop their medical couture in a luxury boutique atmosphere. This new retail space brings our products to life and provides a location for customers to try on different products in person. 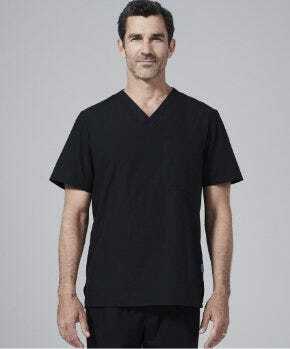 An elite customer service staff is present to assist customers while they shop their favorite scrubs and lab coats and to provide guidance when selecting customized embroidery for their garments. Our new location marks the start of a new era of growth for Medelita, a company whose humble roots began in the living room of the founders' house in 2008. By the following year, the company had expanded to a modest office and warehouse space in San Clemente that was well-suited to the start-up brand during its long period of initial growth. 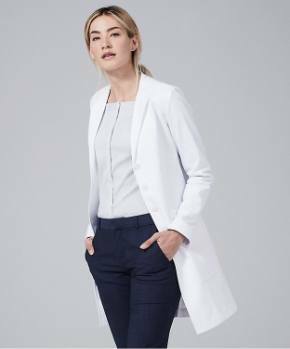 According to founder Lara Francisco, PA-C, "When we moved into our first office, we were in a bit of survival mode because the business was still new and growing and we weren't sure how well our concept of high-quality medical apparel would be received. All our office furniture was either donated or bought for a few dollars from Craigslist, but we made it work because the entire team truly believed in the brand. 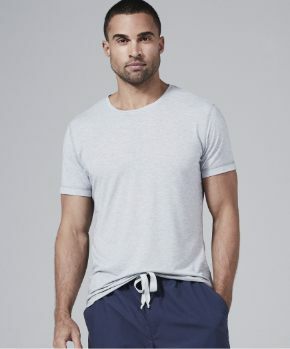 This is representative of who we are, which is a laid-back group of local people who work extremely hard and work so beautifully together that we don't necessarily need fancy surroundings." In this new office in Laguna Hills, Medelita is preparing for a period of accelerated company growth. Our larger warehouse space is capable of holding more inventory and processing larger volumes. The increased office space will be able to support staff needs as we expand our team. We expect great improvements in our business flow, as this new location is proximal to many hubs of local talent and we are now much closer to our vendor partners who support various business functions. It has been so meaningful to watch the Medelita brand grow to where we are today, and we couldn't be more thrilled to join the local Laguna Hills business community. We invite each of you to come visit our new storefront and headquarters. 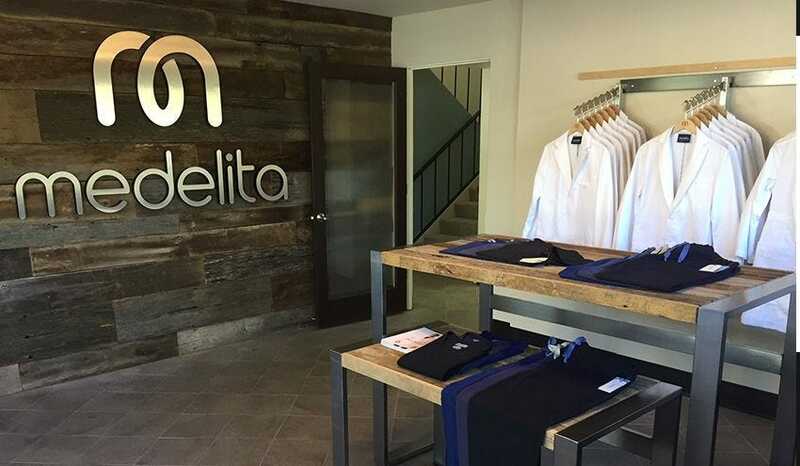 If you'd like to visit and tour the new facility, or if you'd like to set up an appointment to meet us in the new store, please send us an email at contact.us@medelita.com or call 877.987.7979.